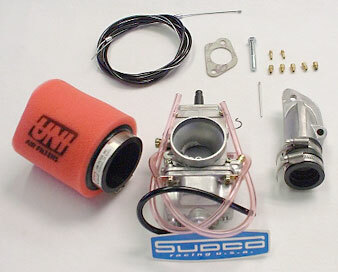 Great choice for highly tuned 190cc piston port engines using a ported cast iron cylinder or a Mugello cylinder kit. This kit comes with everything you need, including the carb, a Uni foam filter, intake manifold and hardware, cable, and spare jets. To attach your stock choke cable, also order choke conversion kit #492.A.